Every Smartphone is either based on Android or iOS or Windows or some other operating system. All these interfaces have their app store which is full of useful applications and user can download these apps as per requirement. These apps are classified in various categories including entertainment, security, games, utility etc. 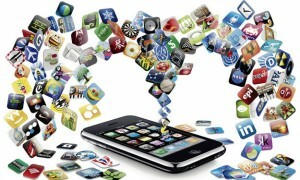 App stores continuously receive upgrades and newly developed software. We will be telling you some great applications which heated up the market in 2013 and created a corner for them in media. Lulu app: Men are not allowed to use this app, only women can. On this app women rate men according to certain standards. Men are rated on the scale of 1 to 10. This app was in news for its different type of concept and working where only women are allowed to have an account. This app has received a multi millions dollar deal. BTW: It is a Facebook app which helps to find friends using Facebook. It came in the news because of its strange and different type of name. Tinder: This app helps to show the profiles of your nearby people with your similar age on Facebook. This app also rates people on certain standard that is the main reason to come in the news. This app has matched 75 million profiles. Whisper .Sh: this app makes your secrets out in front of all. It is available on Android and iOS, from where you can download and provide you the facility to share secrets. You can share any technique, social issues, violence or other topic. It was launched in 2012, since then there are 2 million users that have shared their secrets. Ashley Madison: it is one of the most unsocial apps that give facility to have affair with married couples. It has more than 11 million users.